ARRA News Service: John Kerry, The Islamic Republic’s New Lobbyist . 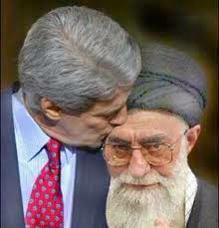 . .
John Kerry, The Islamic Republic’s New Lobbyist . . .
. . . The administration urges foreign financial institutions to fund the Iranian terror machine. by Ari Lieberman: Iran, the nation that has built a well-deserved reputation as the world’s premier state-sponsor of terrorism has a new lobbyist and he is none other than U.S. Secretary of State John Kerry. Since the Obama administration inked the Joint Comprehensive Plan of Action in January, Kerry has been busying himself with ensuring that European banks start doing business with the Iranians. Yes, you read that correctly. Not only has the United States and its European allies agreed to lift sanctions against the Islamic Republic, the administration is now encouraging the private banking sector to do the same. It appears however, that their intense lobbying efforts are being received with a healthy dose of skepticism. HSBC’s chief legal officer, Stuart Levey confirmed that Kerry had requested that HSBC start opening its banking doors to the Iranians and transact business with them. Levey criticized Kerry’s misguided initiative noting that the U.S. still maintains other non-nuclear related sanctions against the Islamic Republic and that doing business with Iran runs the risk of running afoul of those sanctions. HSBC has had prior negative experience with the U.S. Treasury and Justice departments. In 2012, the bank was forced to fork over $1.9 billion to U.S. authorities to settle allegations involving money laundering for Mexican drug barons. Levey also noted that the Iranian Revolutionary Guard Corps, which controls large swaths of the Iranian economy, has been slapped with sanctions by both the U.S. and Europe because of the central role it plays in illicit regional and international activities. Doing business with Iran will almost certainly result in facilitating IRGC operations. Adding to the uncertainty, Iran has over the years developed a penchant for hiding money, engaging in shady deals and money laundering thus making it difficult, if not impossible for banking institutions to engage the Iranians in legitimate business transactions without being complicit in their illegal dealings. Kerry has assured the banks that they have nothing to fear if they perform their due diligence but banking representatives have expressed other legitimate concerns. Iran is one of the most corrupt nations on the planet and ranks poorly in the categories of transparency and ease of doing business. Banking institutions and large businesses are naturally reluctant to deal with such an opaque entity. 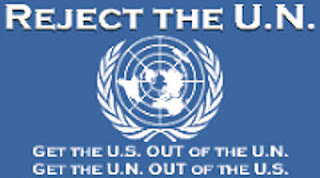 Practical matters and banking concerns aside, it is disturbing to witness the zeal in which Kerry is conducting his lobbying campaign on behalf of an enemy country whose national pastime involves chants of “Death to America" and “Down, Down U.S.A.” Even more disturbing is the fact that despite signing the JCPOA, Iran continues to act in defiance of United Nations Security Council resolution 2231 which calls on Iran to cease all research and testing activities relating to its ballistic missile program. The Iranians are continuously attempting to increase the range and accuracy of their ballistic missiles. Iran’s illicit ballistic missile program has only one aim, to deliver weapons of mass destruction (WMDs). That apocalyptic prospect does not seem to worry Kerry who seems more interested in propping up the Islamic Republic rather than ensuring that it lives up to its international obligations and stops behaving like a pariah state. Indeed, in an effort to prevent derailment of the JCPOA, the administration asked the Iranians not to publicize their launches. Iran’s illicit ballistic missile program doesn’t seem to bother the Obama administration so long as the Iranians keep their activities below the radar. Iran’s nefarious undertakings extend far beyond its illicit ballistic missile program. The IRGC, the group that runs Iran in partnership with the ayatollahs, represents the life-blood of Hezbollah. Both Hezbollah and the IRGC are engaged in a full-fledged operation to destabilize the region. From Syria to Yemen, Iranian and Hezbollah operatives are fomenting chaos and bloodshed with the aim of establishing a Shiite arc extending from Iran through Syria and Lebanon as well as securing control of two of the region’s most important chokepoints, the Strait of Hormuz and the Bab-el-Mandeb Strait. Hezbollah’s main source of funding comes from Iran, which trains, arms and pays the salaries of its operatives. Its other sources, though minor in comparison to Iranian assistance, include drug trafficking and extortion. Last week, Adam Szubin, the acting Treasury undersecretary for terrorism and financial intelligence, noted that Hezbollah was “in its worst financial shape in decades.” It’s hard to take that near-comical boast seriously in light of the $150 billion cash infusion the Obama administration injected into the anemic Iranian economy. It’s hard to imagine that Iran will spend any of that money on improving the quality of life of its citizens and promoting human rights. Iran will almost certainly channel a large portion of those funds to its proxy stooges in Syria, Lebanon, Iraq, Yemen and elsewhere. Kerry’s lobbying efforts on behalf of Iran in connection with the banking industry will make Iran’s ability to transfer funds to these terrorist groups less difficult. The lengths to which the Obama administration will go to indulge the Iranians is beyond shocking, it’s frightening. But we should expect no more from an administration that expressed gratitude to the Islamic Republic after its naval pirates kidnapped and humiliated 10 American sailors when their craft encountered mechanical difficulties in the Arabian Gulf. Sadly, the Obama administration continues to lose the trust of its allies, while emboldening its enemies and has given new meaning to the term appeasement. Tags: John Kerry, New Lobbyist, The Islamic Republic, Iran, Iran Sanctions, nuclear deal, Treasury, United States, appeasement, FrontPage Mag, Ari Lieberman . To share or post to your site, click on "Post Link". Please mention / link to the ARRA News Service. and "Like" Facebook Page - Thanks!